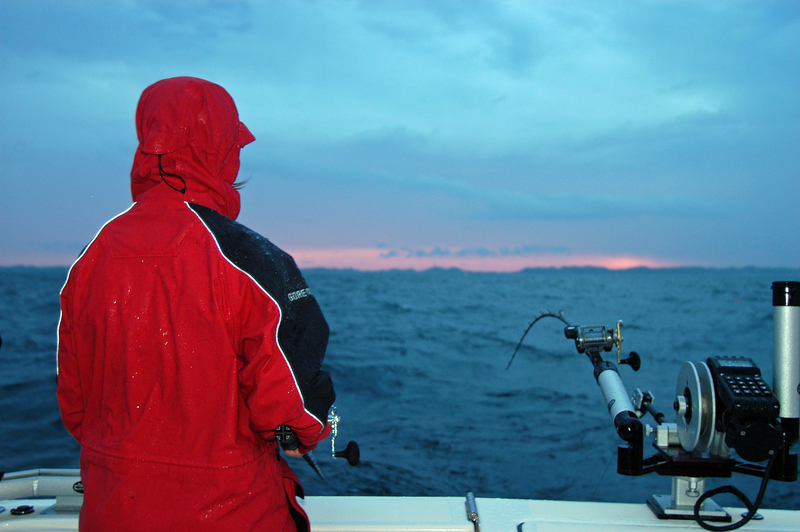 Lake Michigan is expected to be colder throughout the summer fishing season. Photo: Howard Meyerson. It’s not a stretch to say that lakes will be cold when the 2014 fishing season opens on April 1. And, given the volume of frigid runoff this spring, federal hydrologists predict Lake Michigan-Huron waters are likely to be colder than last year throughout the summer fishing season. What Lake Michigan anglers can expect remains a question that will soon be answered – particularly when it comes to Chinook salmon. Anglers this year can once again catch and keep five salmon daily. Last summer was tops for 20 pound to 30 pound fish, very big salmon, but fewer were caught overall. State fisheries officials will be watching the 2014 salmon catch closely. Concern remains about the forage base. The alewife population is still at low ebb, and they are the preferred food for Chinook salmon. You may recall that Michigan and other bordering Lake Michigan states reduced Chinook stocking in the lake by 50 percent in 2013. That was done in an effort to conserve alewives and provide a sustainable salmon fishery going forward. The effects of that cut are not expected to show up until 2015. Catch-rates, meaning how many fish are caught per hour, are expected to go up this season because the salmon are expected to be “hungry” and more likely to bite lures, according to Wesley. When food abundance declines, their weights decline as well. The record cold, snow and ice could have an adverse effect on alewives. It can stress them and deplete their fat reserves. That, in turn, can result in a larger-than-normal die-off once summer comes. Acoustic surveys and mid-depth netting trawls conducted last August by state and federal agencies found little change in alewife abundance compared to 2012. That information figures into calculations that determine if predator-prey relationships are in balance. Read: Is there enough food in the lake to sustain big predators like Chinook salmon? If not, the question becomes: Is it time to cut stocking further. “What the acoustic survey showed was a very low abundance of (new alewives) and an abundance of older alewives that was similar to 2012,” explained Dave Warner, a fisheries research biologist with the U.S. Geologic Survey. His crew and others from the DNR and U.S. Fish and Wildlife Service each surveyed portions of Lake Michigan looking for prey fish. No further salmon cuts are planned for this year, according to Wesley. 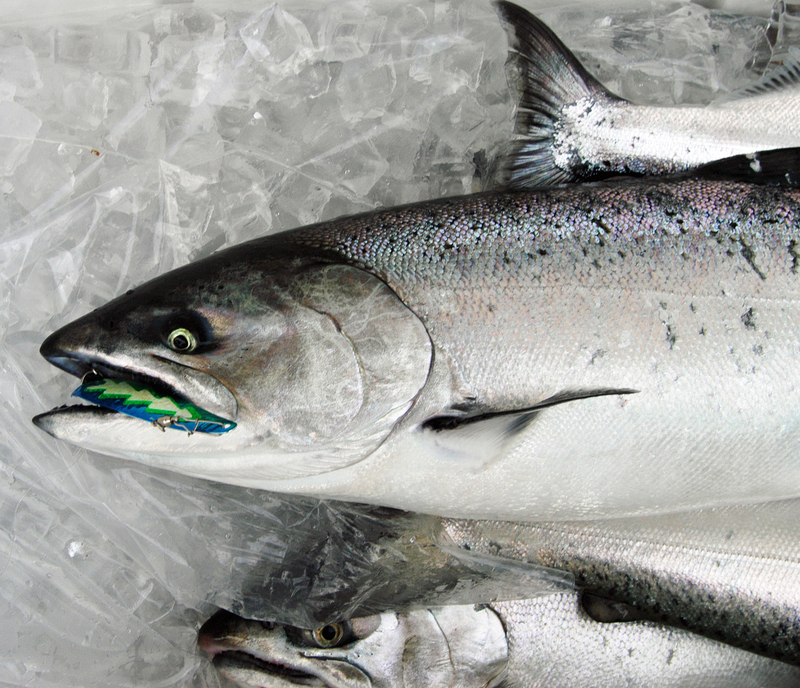 Michigan will go ahead and stock 559,000 Chinook salmon in May. Any necessary cuts would take place in 2015. Anglers, meanwhile, can expect to find a full spread of Chinook age classes in Lake Michigan this year. Coho salmon fishing is also expected to be good this season. Look for them to show up first in the southern part of the lake around New Buffalo and St. Joseph. Wesley suggests Coho may remain in the southern part of the basin longer than usual because of the colder lake water temperatures. Steelhead fishing will be good as well, but they too may be smaller than in 2013. This entry was posted in Uncategorized and tagged Alewives, Conservation, Fish, Fishing, Michigan Department of Natural Resources, Salmon, Steelhead, U.S. Geological Survey. Bookmark the permalink. The cold truth was that 2013 was a total bust even if a few large fish where caught. Many theory’s from arm chair fisherman but nothing came to the top. I personally don’t want to spend 200 dollars in gas to catch a lake trout and maybe 1 good chinook. We need to be more open and honest about the situation and start a good conversation. Tippy Toeing around the subject won’t make it improve.